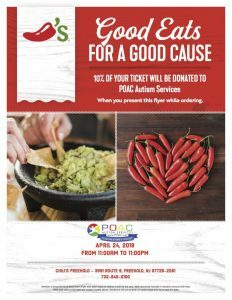 Join us on April 24th at the Freehold Chili's. Just show this flyer and 10% of your order will be donated to POAC. No need to register. Just come. Click on the flyer to download a PDF version to print or have on your phone.